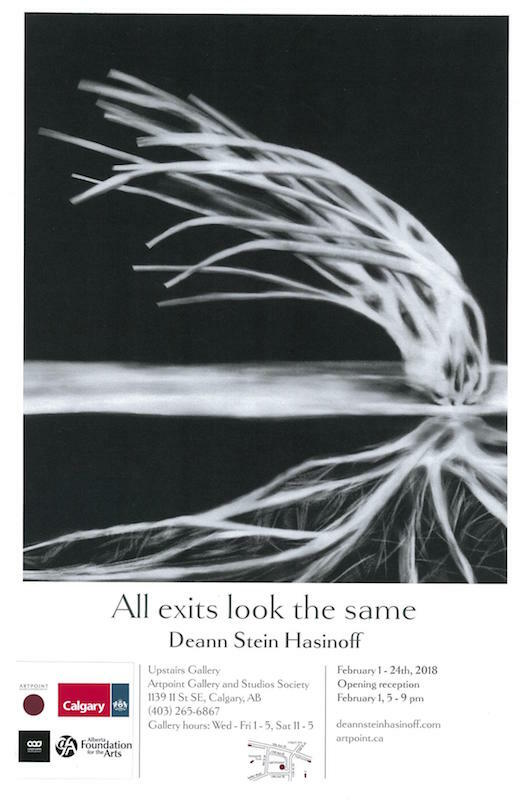 I am excited about my upcoming showing of All exits look the same in the Upstairs Gallery of Artpoint Gallery and Studios Society in Calgary, Alberta. The show will run from February 1st to 24th during Exposure 2018. Opening reception for members and invited guests on Thursday, February 1st from 5-9 pm. In February, during the Exposure Photo Festival, the gallery will also be open on Sundays 1-5 pm. This entry was posted in Digital drawing, Exhibitions and Publications, November 2017 on November 15, 2017 by Deann.